Left to right, Tyler Walsh, Greg Poggi, Jim Miller, CJ Konkowski, Colin Barnea, Troy Goliber, Danny Kish, Sam Fuller, Rick Wolchko, Coach. For additional information on the team you can call or stop by Fore on 4 an talk to Rick. UNH Finished 2nd out of 10 team in both the Spring and Fall Regionals. 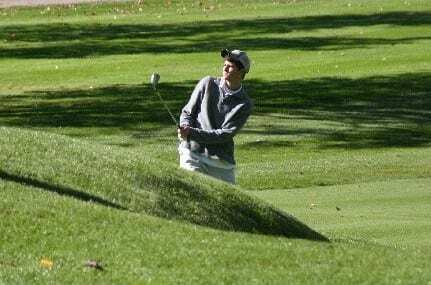 UNH Finished 2nd out of 12 teams in the Spring Regional and won the Fall Regional at the Crumpin Fox Golf Club in Massachusetts. UNH was edged by Northeastern, who qualified for Nationals. 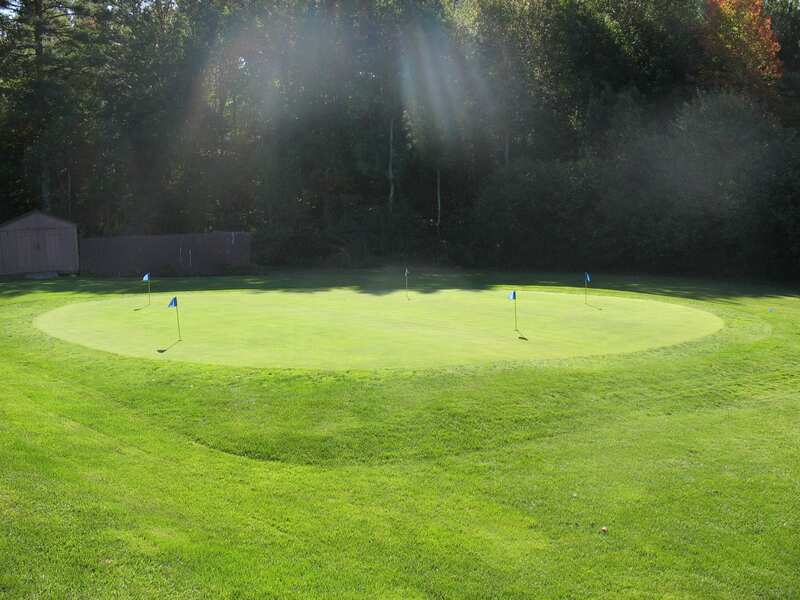 Spring Season: UNH won both Northern New England Tournaments at the Meadows Golf Club in Peabody, MA. 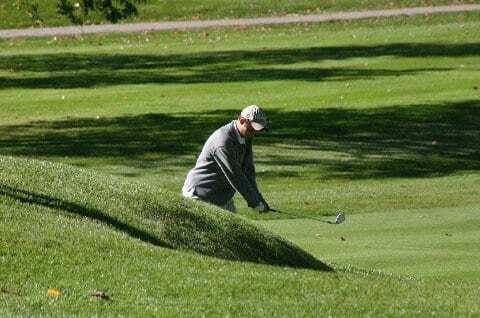 And at the Merrimack Valley Golf Club in Methuen to qualify for Nationals. 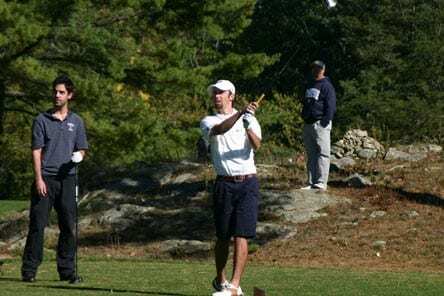 At Merrimac, UNH shot its lowest 36 hole tournament score since joining the NCCGA Conference. Under the best 5 scores of 8 format. 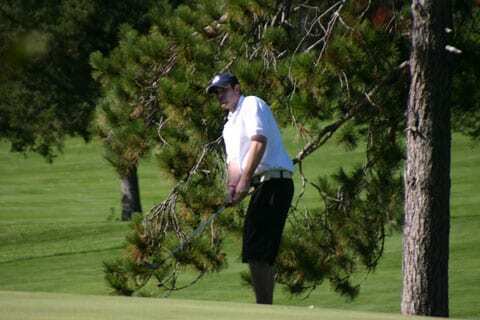 UNH shot 373-358=731. CJ Konkowski was Medalist with an outstanding 72-69=141, Dan Lawson 76-69=145, Danny Kish 74-72=146, Ben Whitaker 76-77=153, Brian Colbert 76-77=153, other members of the winning team were Clay Cowart, Colin Barnea and Chris Melanson. Nationals were hels at the Crystal Spring Resort in Hamburg, New Jersey. UNH finished 3rd out of 27 teams from around the country, its best finish to date. Fall Season: UNH qualified for Nationals for the 5th Consecutive time by capturing the Northern New England Regionals. Nationals were held at The Dancing Rabbit Golf Club at the Pearl River Resort in Philadelphia, Mississippi. Members of the Fall National team were CJ Konkowski, Ben Whitaker, Dan Lawson, Brian Colbert, Andy Upton, Tyler Angle, Chris Saunders and Jasper Jenkins. 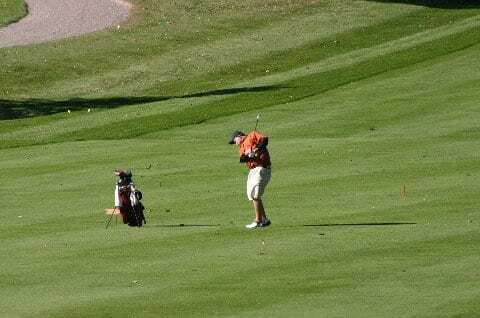 Spring Season-UNH won both New England Regional Tournament to qualify for Nationals at Pete Dye s Kempen Course at Purdue University in Indiana. At Nationals, UNH finished 5th with CJ Konkowski finising 3rd Individually. Other members of the Spring National Team were Troy Goliber, Colin Barnea, Danny Kish, Zak Dihonis, Jim Quenton, Tyler Walsh, Dan Lawson and Konkowski. UNH also won The Friars Invitational, hosted by Providence College in Rhode Island. 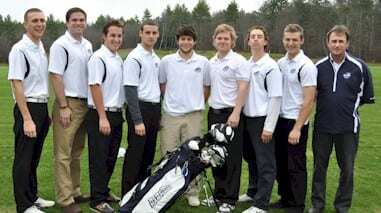 Fall Season-UNH again qualified for National by winning both Northern New England Regionals of the NCCGA Conference. Nationals were held at the Barefoot Resort in Myrtle Beach, SC where UNH finished 6th out of 27 teams from all over the U.S. CJ Konkowsk of UNH finished 2nd individually out of 210 players. Members of UNH s Fall National Team were: Danny Kish, Colin Barnea, Ben Whitaker, Jake Hajec, Chris Kinney, Brian Colbert, Tyler Walsh and Konkowski. 2013 was a very successful, fun year as we look forward to 2014. UNH joined the NCCGA Conference, consisting of colleges from all over the United States. 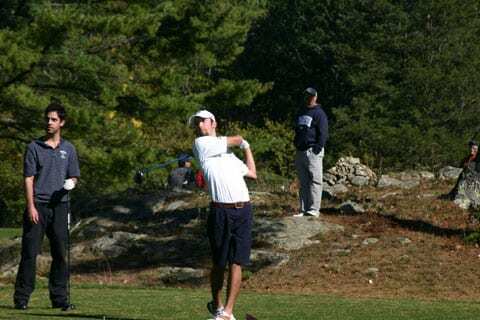 The team won both of the Northeast Regional Qualifying tournaments to qualify for Fall Nationals at the Seaside Course in Sea Island, Ga. At Nationals the team finished 4th, with UNH s CJ Konkowski finishing 3rd Individually. Members of the National team where Troy Goliber, Danny Kish, Jim Miller, Gregg Poggi, Colin Barnea, Tyler Walsh, Sam Fuller and Konkowski. UNH also won the New England Conference Championship and our own UNH Wildcat Invitational. UNH s A team completed and undefeated year competing the NECCGA conference. 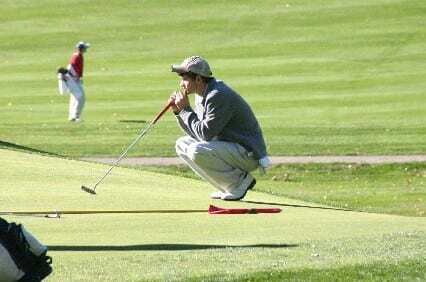 The team low score was shot at the UNH Fall Invitational at Pease Golf Course against 8 other college teams. Shooting a winning team score of 290, under the best 4 scores of 5 format were: Medalist Kurt Eddins-71, Matt Levins-73, Colin Barnea-73, Ryan Fuller-73 and Gregg Poggi-75.